When it comes to working in the property market, you could find yourself leading the kind of life you never thought you could afford. One of the benefits of working in a market such as property is that a lot of deals are done over lunch and on weekend excursions, you will find that most things are only finalised in the office, the networking is done outside. Freebies in the property market are not exclusive to working in the commercial sector, but they are a lot more prevalent there. Estates agents and property managers that work in the residential sectors will see little in terms of freebies. Most of the work that is carried out in the residential sector will not involve many freebies, however the commercial sector is a different story.When the term “freebie” is used in relation to the property market, it does not mean that you will be inundated with gifts, instead that you will be treated to lots of corporate activities and travel that will come as perks of the job. Whether it’s the commercial or residential market you choose your career in, one of your biggest freebies is most likely to be a company car. 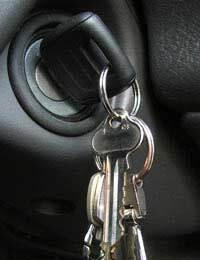 You will be expected to give this back once you have left your position, as well as pay for any extra costs when you use the car for your own personal use. A lot of firms will not mind you using your car for your own personal use, companies may even encourage it if the car carries their own logo. London estate agents are notorious for giving their staff free company cars while they work at the firm, so that they can be seen by passers by. Working in property will have its rewards, you will be treated to a lot of lunches, which will normally be at restaurants you couldn’t afford to attend yourself. While you will be taken out a lot, you too will have to do a lot of wining and dining, and may given a company credit card for this purpose. If you are treated to a nice lunch while you discuss a business proposition, it can make work a lot more enjoyable. People working in business are no strangers to corporate entertainment, and can often be found sipping wine in a box at a cricket or football event. A lot of the larger property firms will sponsor major sporting events and will also own boxes at grounds. While there may not be any business done at these types of events, they will all help towards contact and building the relationship you have with your clients. On top of corporate events, you will find yourself travelling around and staying in various hotels while you work away from home. There will also be a number of black tie and networking events that you will be expected to attend, which could mean a substantial amount of fine dining. Working in the property market can sometimes mean long hours and little pay, so any freebies that you can get will add to the enjoyment of the job. The property sector has its benefits and is a very social and energetic business, so it is not surprising there are a lot of people drawn into a career in property.